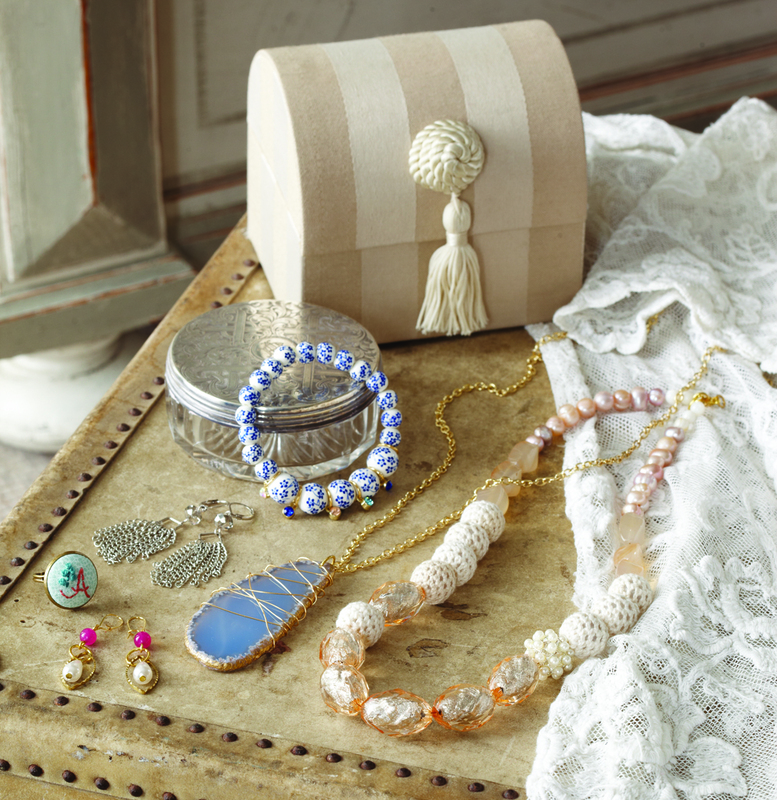 30 Minute Jewelry – My Book! Today is an exciting day for me, my friends!! 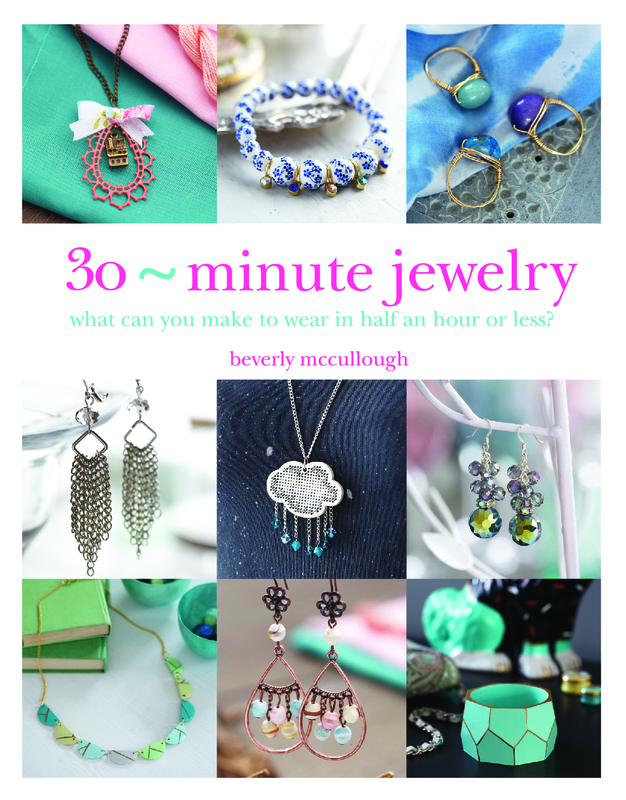 I am so excited to be able to show off my book to you – 30 Minute Jewelry! Can you believe it? It is so surreal. This has been a dream of mine for years and I am so thrilled that the day is finally here! 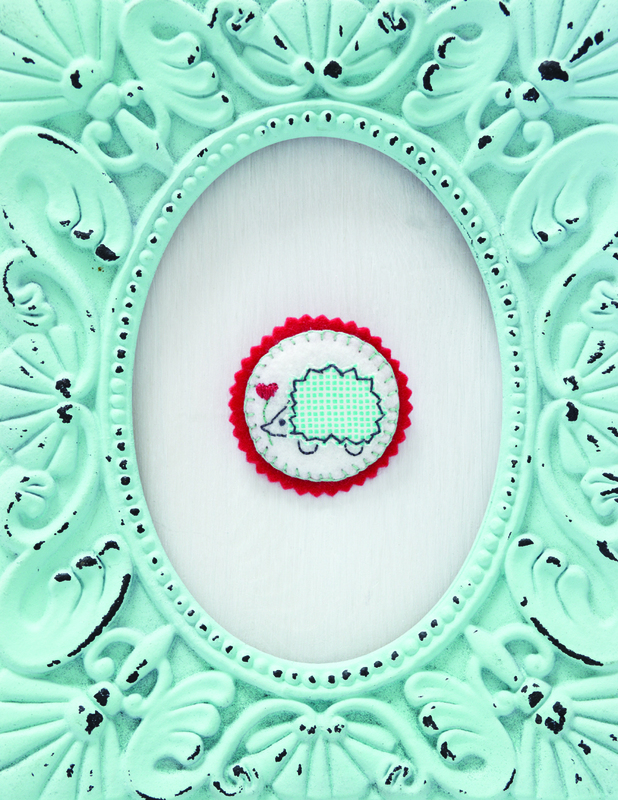 Today I get to show you some of my favorite projects in the book and tell you all about it! 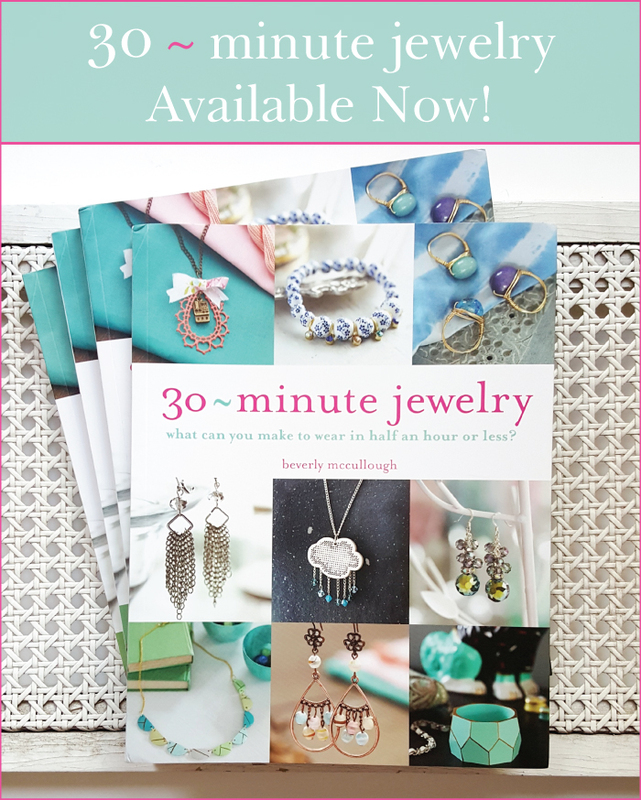 30 Minute Jewelry is a book designed for anyone with a love for jewelry and fun accessories – whether you have never made any jewelry or have been creating for years! The projects start out with a beginner section then work up to intermediate and advanced, so you can build your skill level up as you go. The styles are a fun mix of all sorts of styles – modern, classic, vintage, quirky – and everything in between! I love all the pieces in the book, but I do have a few favorites. This Sweet as Honey Bangle is so cute and is a perfect beginner project! It would be such a great gift too – the holidays are just around the corner! 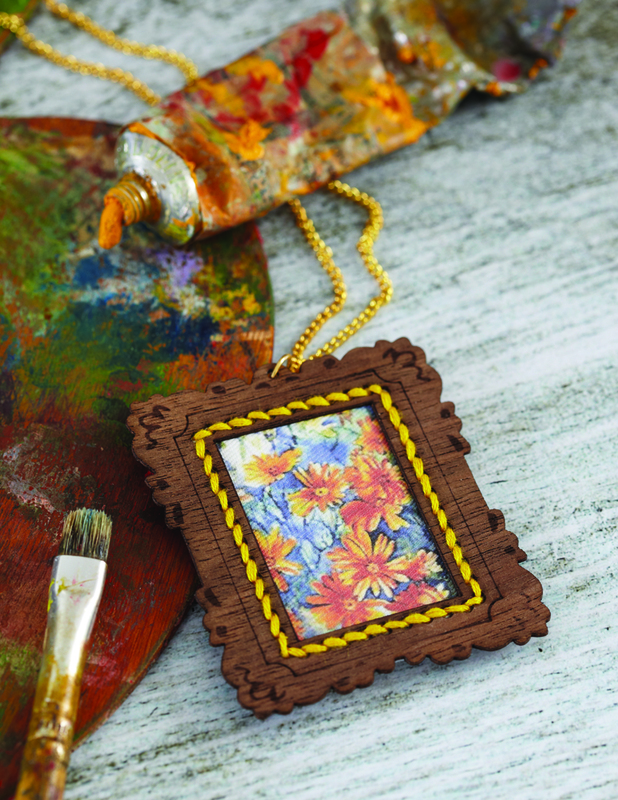 The Mini Masterpieces necklace is the perfect way to display your favorite artwork – in jewelry form! This necklace is showing off one of my dad’s paintings. He’s an amazing watercolor artist and this is one of my favorites of his! I didn’t take the photos for the book, they were taken by taken by Sussie Bell for Quintet. But I was blown away by what amazing job they did with the photos and styling! They really took so much time in making the most of every piece of jewelry and finding the perfect way to display it. They were so fabulous to work with – every bit of the experience was so great. I felt like they really captured my style. Another of my favorites – the Woodland Hedgehog Brooch! The book has a detailed section at the back for techniques – including jewelry, sewing, and embroidery! There are also full size patterns for the pieces that need them, so you can start creating right away. You can also find links to supplies, tips, tools you’ll need and ideas for making the projects your own! You can find the book at Amazon.com and BarnesandNoble.com right now – and you can find it in stores (Barnes and Noble, Michaels, Jo-Ann Fabric and Craft Stores, and more) on October 1! These projects incorporate lots of different crafting techniques–from basic wirework, stringing, and beading to simple cross stitch and sewing–and exciting materials like fabric, lace, leather, and polymer clay. The result is gorgeous jewelry in a flash, because there’s always time to create something beautiful. I also have to say thanks to all of you – I’ve shared this dream with you for a couple of years now and your support and encouragement has meant the world to me! Thank you so much for your sweet comments, for sharing my projects and for making things from my tutorials! This wouldn’t have happened without all of you! This creative journey is such an amazing and unexpected ride and I feel so so blessed to be on it. If you have any questions about the book let me know, and if you pick up a copy and make any of the pieces I’d love to see a photo! 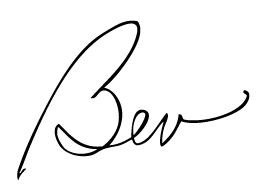 Congrats, Bev! What a gorgeous labor of love! I have always loved your little “frame” pendants with vintage fabric and embroidery! Congratulations!!! That’s a huge accomplishment. Yay!!!! I can’t wait to start making things. All of the projects are SO cute! 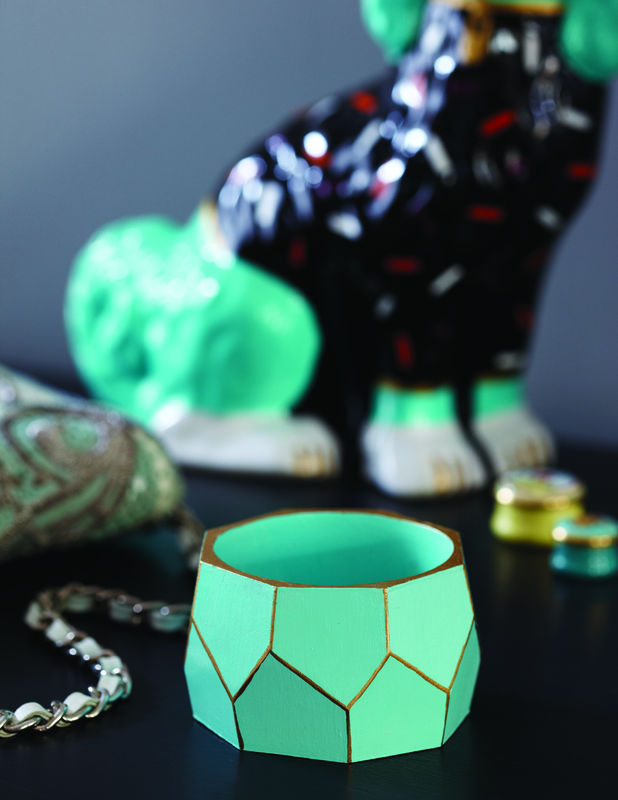 I am all over that Sweet as Honey Bangle. Congrats, my friend!! This is a HUGE achievement!! Just ordered you book. I can’t wait to use. Keep up the good work. Thank you so much Margaret!! That makes my day! Congratulations on your book Beverly, it all looks so wonderful! We really love that you used one of our Mini Masterpiece frames in the book:-) Your Dad’s Watercolor is so beautiful! Oh my goodness! This is so exciting, and I could not be happier for you! You totally deserve your own book, and I know that it’s amazing. I can’t wait to read it! Congratulations!! That’s awesome!! It looks great! Beautiful book and great projects! your book looks like a lot of fun. Ill make a trip to my favorite craft stores and see if i can find your book, if not ill order it from Amazon. 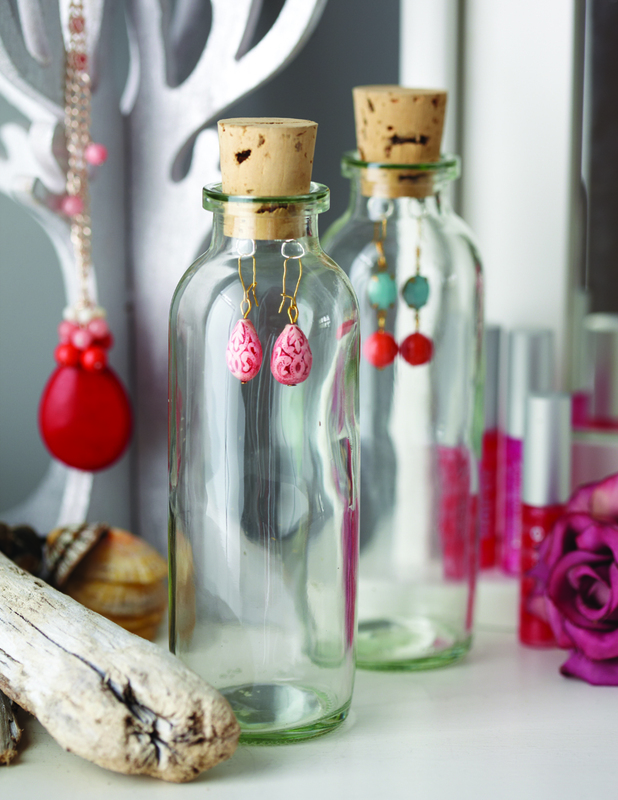 Question, do you tell on your book where and how to make the little glass bottle earring holder?